It was a somber and historic beginning to Vermont’s 2016 Legislative Session. The opening days of the second year in a legislative biennium aren’t usually very dramatic. But this year, we had two events which distinguished 2016’s Session launch. For the first time a Senator was suspended and Governor Shumlin gave his sixth and final State of the State speech. While there were no interruptions or protests – it was no lame-duck speech. It was full of ambition and a ‘cup half-full’ review of all that has been accomplished in his five years as governor. He focused on moving ahead on education reform, improving Vermont’s fight with opiate addiction and identified the parameters in which he’d consider the legalization of marijuana. In an historic vote on the second day of Session, Senator McAllister of Franklin County was suspended by the Senate in a 20-10 vote. As you’ll recall McAllister is charged with sexual assault and his trial is upcoming. Comparing their action to that of other public-trust professions (teachers or police) the Senate chose to suspend him until his case has been adjudicated. Ironically, the entire Legislature had its annual sexual harassment prevention training the following morning. On the first day, January 5th, legislative committees got right to work addressing the challenges the Legislature faces this year. As you are aware, these include: follow up work on the education (Act 46) and water quality bills of last year; the upward pressures of the growth of Medicaid in health care; ongoing revenue concerns (the cost of operating state services is still growing faster than state revenues); the debate over proposed legalization of marijuana and the tax on carbon; possible divestment of fossil fuel investments; mental health and substance abuse treatment and programming; growth in the number of children taken into state custody; continued work identifying efficiencies in state government and analyzing its work more thoroughly – reviewing outcomes and performance; and a sizable budget gap. On January 15th most of the studies and reports requested in last year’s work will be delivered to the Legislature for review and the Governor’s budget address is scheduled for Thursday January 21st. It is gratifying to get back to work. One of the first things which we address every January is the Budget Adjustment. This is a mid-year adjustment to the FY16 budget we are in, and allows us to respond to changing needs in state government. The FY16 budget made a number of aggressive assumptions: that we’d achieve savings in retirements, that we’d find savings in not filling vacancies, and that we’d reduce our operating costs. We achieved the targeted labor savings – both in vacancy savings and retirements – and we exceeded our target of statewide efficiency savings. The good news is that it looks like this year’s budget adjustment will need no new revenue. 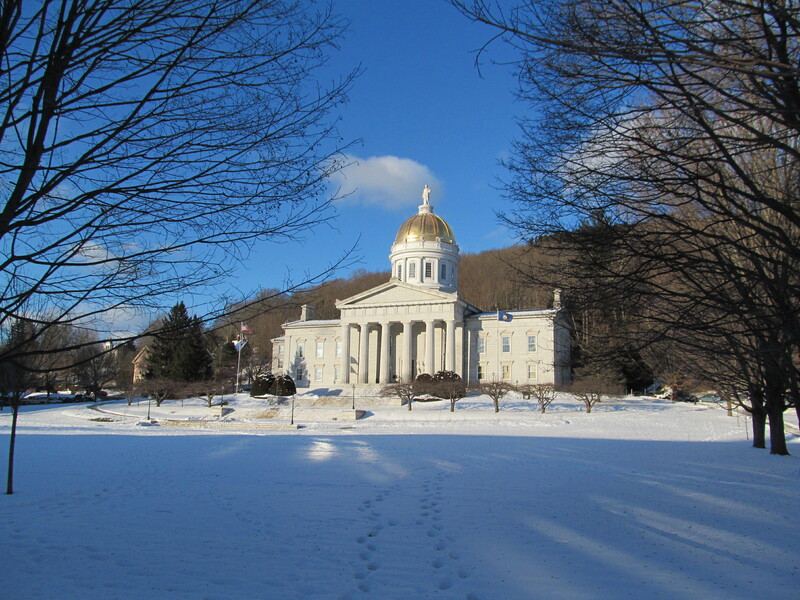 This entry was posted in Montpelier Report and tagged Alison Clarkson, Legislative Report, Vermont State House. Bookmark the permalink.